Two icons in the history of mountaineering, which have attracted visitors from all over the world. Each one in a distinct region of Switzerland, the Bernese Oberland and Zermatt valley, two spectacular areas in the Alps. The Eiger (3970 m/13025 ft.), with its satellite peaks of Mönch (4107 m/13474 ft.) and Jungfrau (4158 m/13642 ft.), form a stark frame to the Grindelwald valley, a lush environment of green meadows and summer pastures dotted by orderly farmhouses. The Matterhorn (4478 m/14692 ft.) soars high above the town of Zermatt like a giant sentinel protecting a mountain paradise. Next to this legendary mountain is an amphitheatre of glaciated peaks forming the Monte Rosa massif, the second highest mountain in Western Europe. Breathtaking glaciers descend from the summits almost to reach our fingertips. Two spellbinding environments, where one cannot help but to feel in awe and humbled. In-between, we find the Kander Valley, another shrine of lesser-known peaks but just as spectacular. 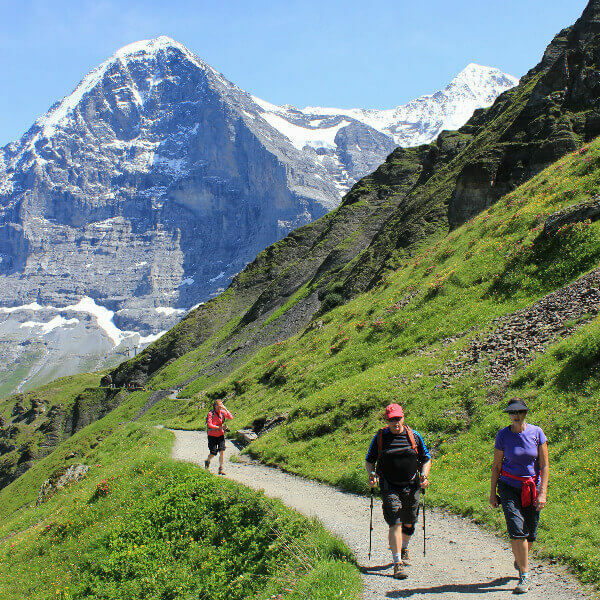 Our hiking journey starts in Grindelwald, where we hike along the bottom of the North Face of the Eiger, on a panoramic trail. Hard to imagine, as we leisurely hike along, that this vertical wall has taken so many lives since the first summit attempts in the early 20th century. In 1938, Heinrich Harrer and three other alpinists successfully summited the mountain. A story he later retold in his famous book “The White Spider”. The north face was also one of the locations for the James Bond’s film “The Eiger Sanction”. 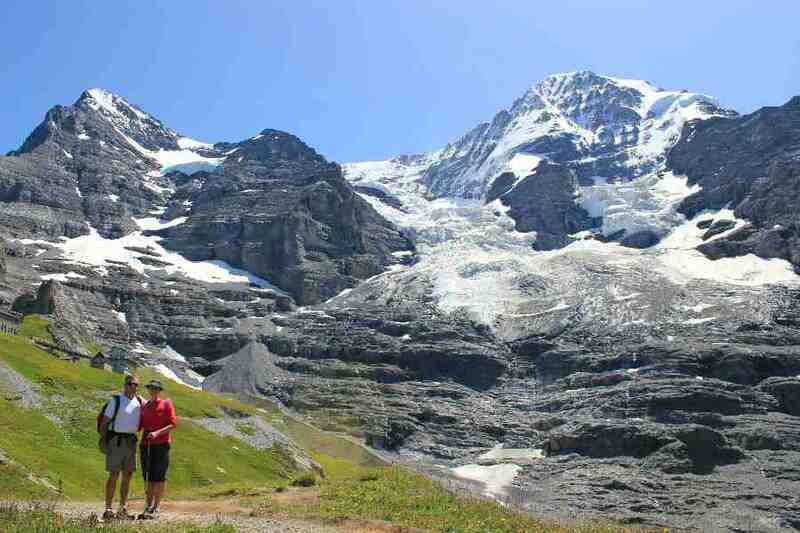 We are in the heart of the Swiss Alps Jungfrau-Aletsch UNESCO World Heritage property. 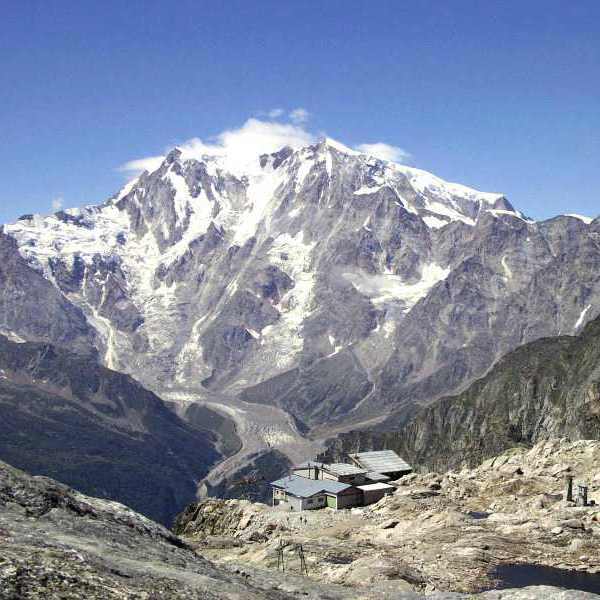 With a surface of 82400 ha/203614 acres, the site provides an outstanding example of the formation of the High Alps, including the largest glacier in Eurasia. Of outstanding universal value, it is a diverse ecosystem, and it provides a wealth of information about the formation of mountains and glaciers, as well as ongoing climate change. 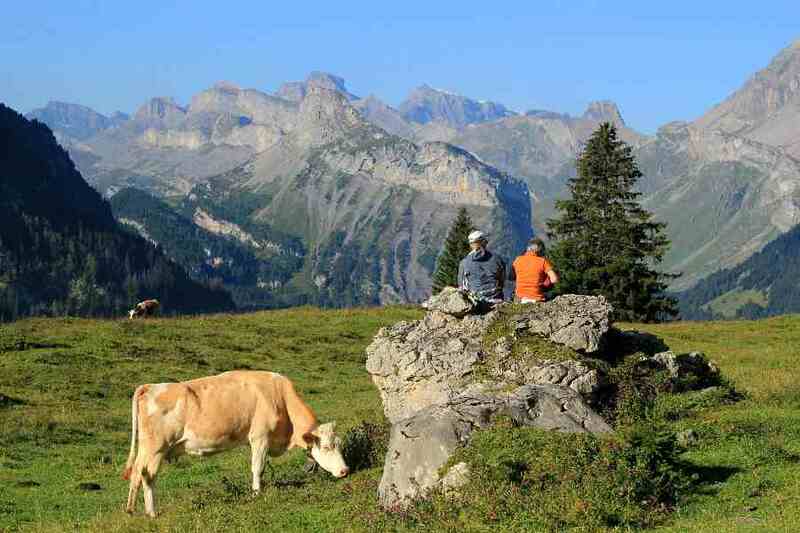 We venture into the Lauterbrunnen Valley, Home to the largest Nature Reserve in Switzerland. 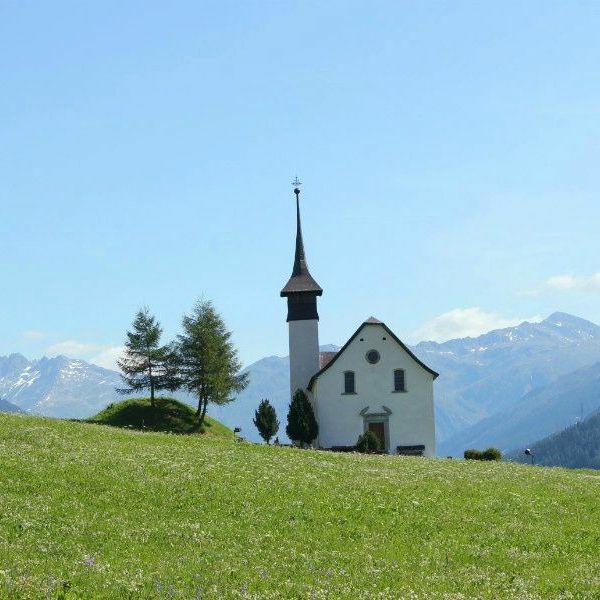 A protected area, it embraces seventy-two waterfalls, three hundred and eighty rivers, crystal-clear mountain lakes and the impetuous Lütschine, the main river. 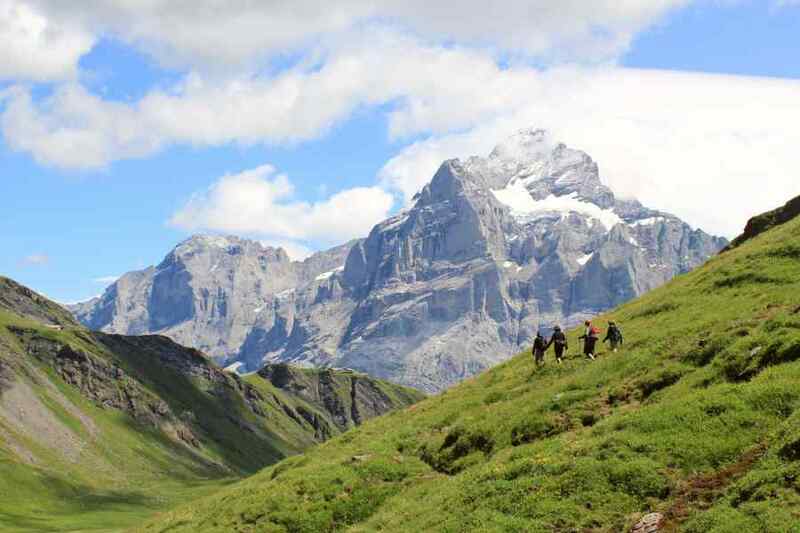 Hiking through conifer forests and open alpine pastures, we enjoy glorious views of the Eiger, Mönch, Jungfrau and surrounding glaciated peaks. 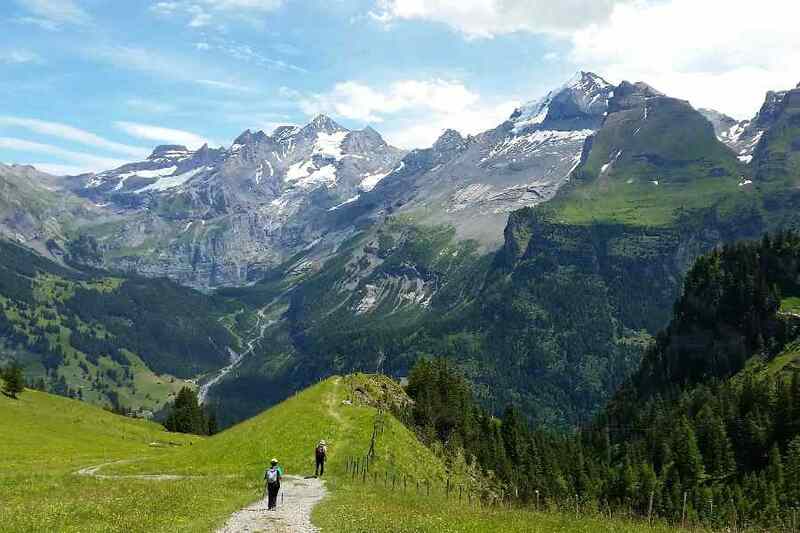 We visit the enchanting villages of Mürren and Gimmelwald. 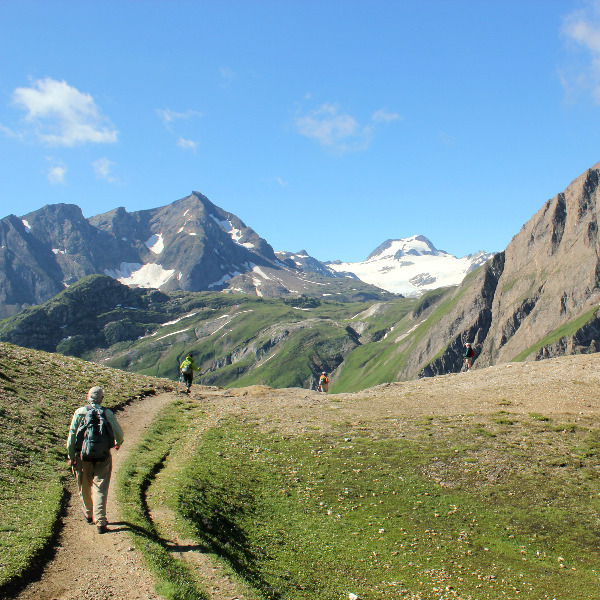 In Kandersteg, we hike in a superb alpine setting, a very interesting area from a geological standpoint. The majestic peaks are, in fact, the highest limestone formations in Europe. An extraordinary natural environment, where orchids, lilies, gentians, alpine roses, and edelweiss find their ideal habitat. With a keen eye, we can spot ibexes, chamois (wild goats) and marmots. 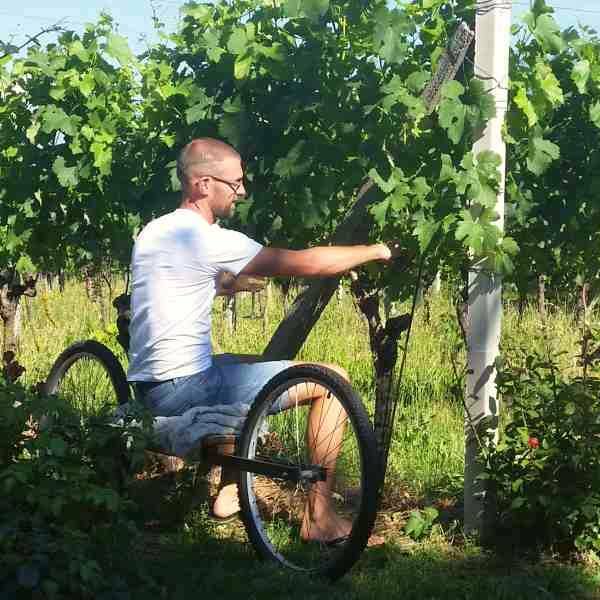 We visit a goat farm, where a light lunch gives us the opportunity to try their cheese. 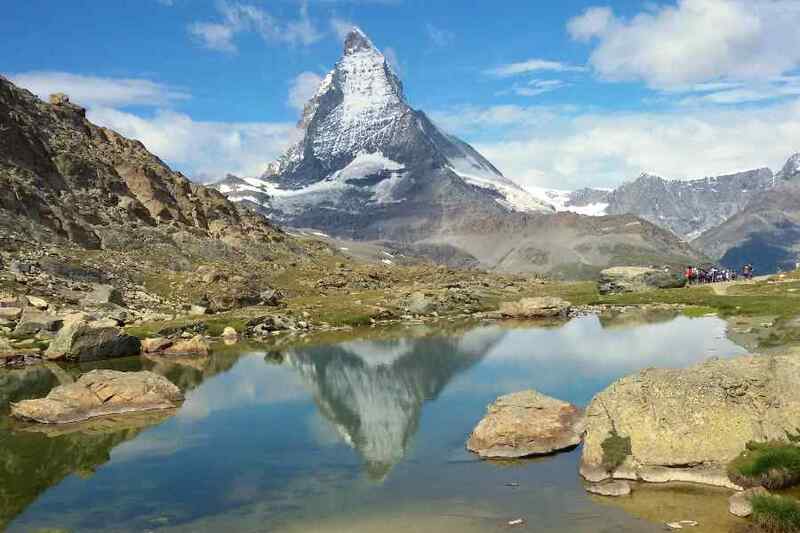 No matter which hike we choose in Zermatt, the Matterhorn will be a constant presence. With the aid of some public transportation, such as cogwheel train, aerial tramway or gondolas, we make our way to higher elevations. 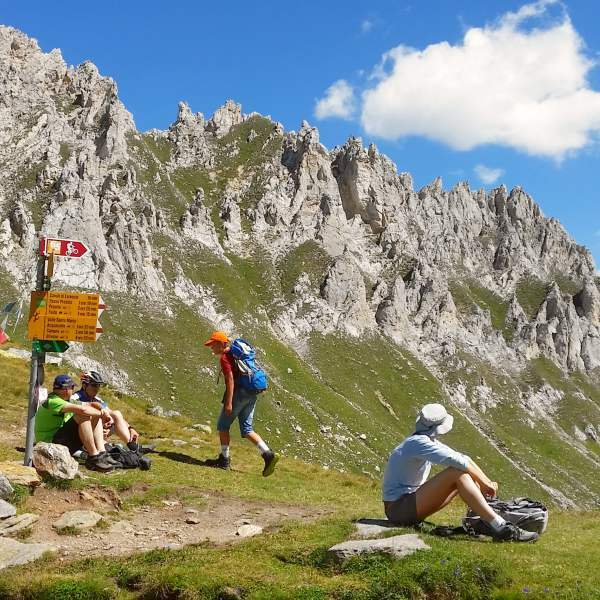 Our hiking trails offer different perspectives over the celebrated mountain and allows us to admire its unique shape. 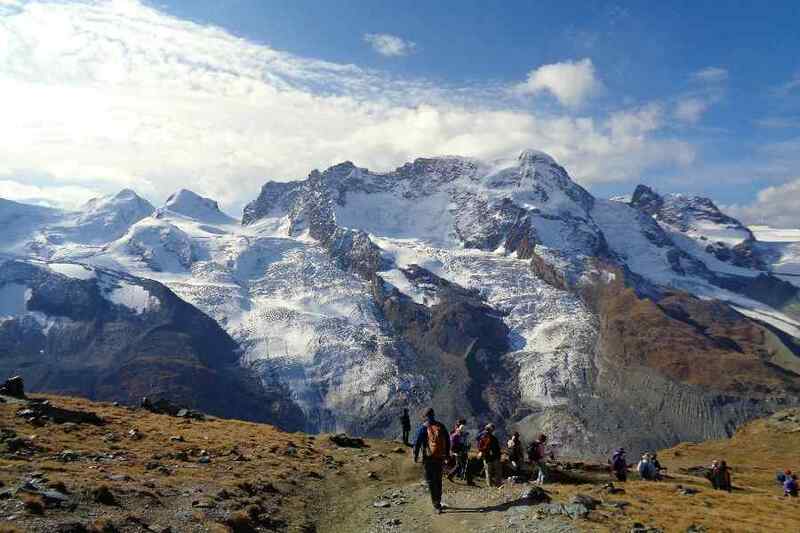 Vantage points will provide a breathtaking, spellbind panorama on all the glaciated peaks.